Need more information about booking Home 5306783 ? Here is a space by the Bay for you to rest your feet and feel the warm sea waves rock you....just 9.5 Km away from Kozhikode city. 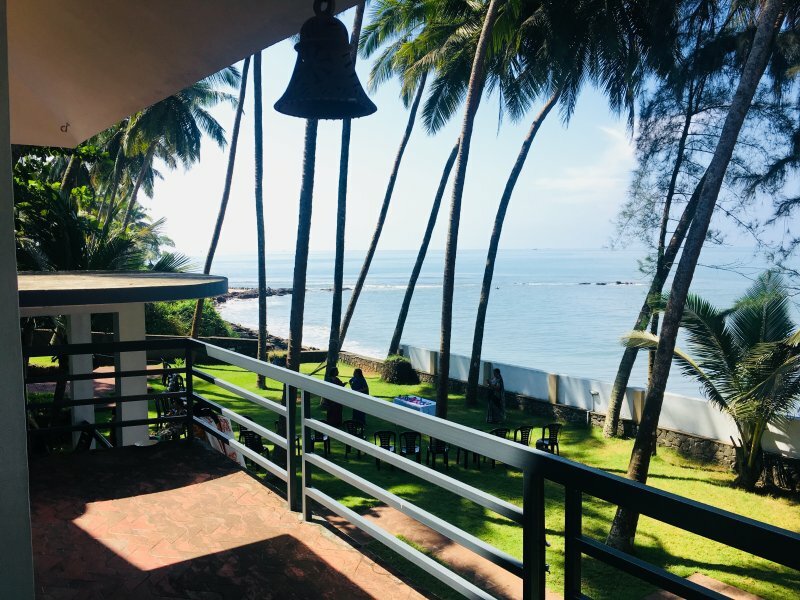 THE JACKFRUIT TREE at Beach is a 3 Bedroom Beach Bungalow located in an acre of coconut plantation beside the Arabian Sea. This bungalow has spacious rooms and living area in 5 different levels giving various feels of the sea beside, from each part of the bungalow.We have amenities like fully equipped kitchen with chefs at service, CC tv surveillance, Dish TV,​mineral water, Hot/cold water,Laundry facility, kids' play area. Guests can buy fresh catch of the day from the fisherman in the neighborhood. Traditional cultural events & craft workshop will be organized on request. THE JACKFRUIT TREE is also committed to caring for the environment and the community in which we are located. The Northern half of Kerala state alias Malabar is popular for its culture, hospitality, food and destinations. THE JACKFRUIT TREE is an organization of skilled persons who aim to promote this among those who seek a complete get-away. A 750 meter walk from the property will launch you at the National Highway. City buses are available from the Chettikulam bus stop to Calicut Town, You can book Taxi or Tuk Tuk service online, or our care taker can arrange the same for you on request. We live just 25 minutes drive from this beach house. In case of emergency, we will be there to help our guests. But no worries, our care takers will be there round the clock to help guests to meet their local requirements if any. Our home is situated at a beach front with a friendly neighbourhood. Please ensure that your enjoyment does not disturb our neighbours. Loud partying/ talking is prohibited after 9.30 pm, especially at spots close to our neighbouring homes. Consumption of alcohol from the garden or sea side cannot be entertained. You can use our sit-outs or dining space. You can get in touch with Prasad (the owner) through the contact form on this page. Send Prasad (the owner) an email through the contact form on this page. Alternatively, if there’s a phone number on this page, you can call them. How do I contact Prasad (the owner)? If you’ve already booked, go to Manage your holiday booking to view Prasad the owner's contact details or send them a message. Or send Prasad (the owner) an enquiry through the Contact the owner/manager form if you’d like a quote or more info first. When you pay online through the Book your stay form, a booking request is sent to Prasad (the owner). You’ll find out within 24 hours whether they’ve accepted - no money will leave your account before then. You can also request a quote from Prasad (the owner) through the contact form. The owner will email you the total cost for your dates and a link to book and pay online. Use the Book your stay form to pay provisionally online. You can pay by credit/debit card or PayPal. Prasad (the owner) will have 24 hours to accept the booking and no money will leave your account before then. Why can't I call Prasad (the owner) before booking? You’ll need to contact Prasad (the owner) to do this. Send them a message in Manage your holiday booking or through the contact form on this page. You can request to change the dates or number of people on your booking via the Manage your holiday booking page. To change your holiday dates use the Edit booking button. If you need to change the number of guests staying then send Prasad (the owner) a message. If Prasad (the owner) agrees, they’ll send you a revised quote outlining the changes. You can review and accept/decline this from the Manage your holiday booking page. You’ll have 48 hours to take action before the revised quote expires.